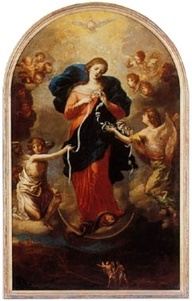 In the last few years, we discovered with much delight, the special novena to ‘Mary Undoer of Knots’ or ‘Mary Untier of Knots’ and are pleased to note that we share this favourite Marian devotion with Pope Francis (please click here for article). The ‘knots’ in this context relates to the challenges in our daily lives for which we do not see any solution. In today’s world, the 300 year Marian devotion is fast gaining popularity far and wide, as it has been translated into several languages. It is interesting to note that it is not based on any apparition of the Virgin Mary. For more indepth background information, do click here and for how to pray the novena, please click here. To show its popularity through the ages, the devotion has its place in the Pinterest too. And, for mobile phone techies out there, there is even an App for this novena from itunes – click here to view. While we are on the subject of Pope Francis, he happens to be the cover story of the APR-JUN 2013 issue of the 24-page Garabandal International magazine which is available online for your reading pleasure, please click here. Until the next post, may all of us contribute towards a peaceful world, with more prayers and goodwill towards one another. Hot Out of the Oven….. Recently, we were inspired by a recipe based on thinly sliced apples laid out on pastry strips, and rolled into rosette shapes…but before we could say ‘jack-in-the-box’, our cousin Pauline had come up with a pretty variation of the ‘apple rosettes’. They turned out to be such lovely to look at, and oh so tasty tea-time bakes. Most of all, so easy to put together. 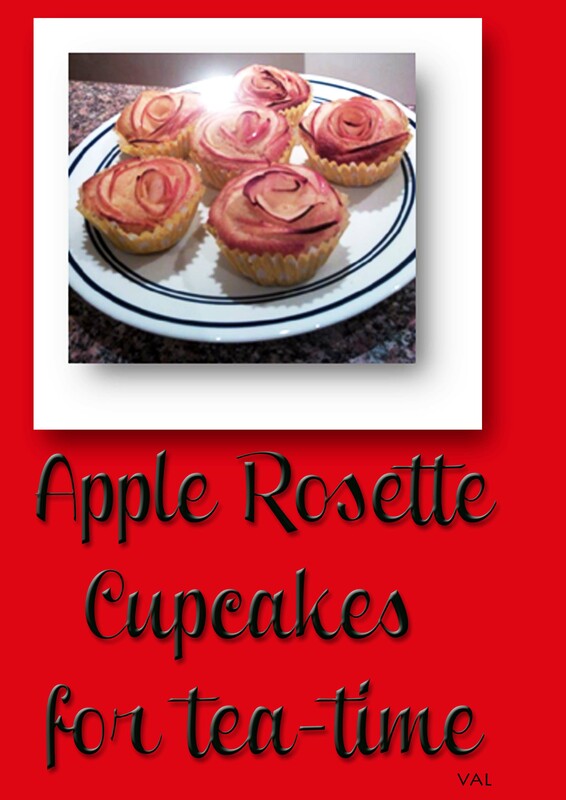 Here we share Pauline’s ‘how-to’….. please click on Apple Rosette Cupcakes for more details. Enjoy…and thank the good Lord for simple pleasures. Following closely on the heels of Suzanne and I being mentioned favourably, in a recent blog post of Seniorsaloud (click here to read), we woke up yesterday to find a generous snippet dedicated to my recent birthday celebration, in the Northern Edition of the Star newspaper (click here to read)! With the superlative comments from Lily Fu of Seniorsaloud and its readers, plus the well-wishers resulting from the news in the Star, it has certainly made us feel particularly blessed by the good Lord. As the topic in Seniorsaloud blog touched on the subject of happiness, may we share with one and all that without gratitude, there is no happiness….only the fleeting distraction of passing pleasures that grow less consequential with the passing years. On that note, you might wish to read more (click here) on ‘why living a life of gratitude can make you happy’ and ‘how gratitude can change your life’ (click here).